The Montclair Local issues that took first place for General Typography and Layout of the Entire Paper in the 2018 New Jersey Press Association contest . 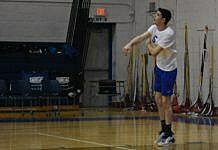 Winners were announced on Monday. 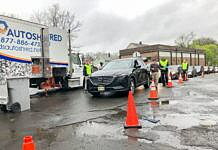 In its first year qualifying, Montclair Local has garnered 16 New Jersey Press Association Awards for its coverage of Montclair throughout 2018. 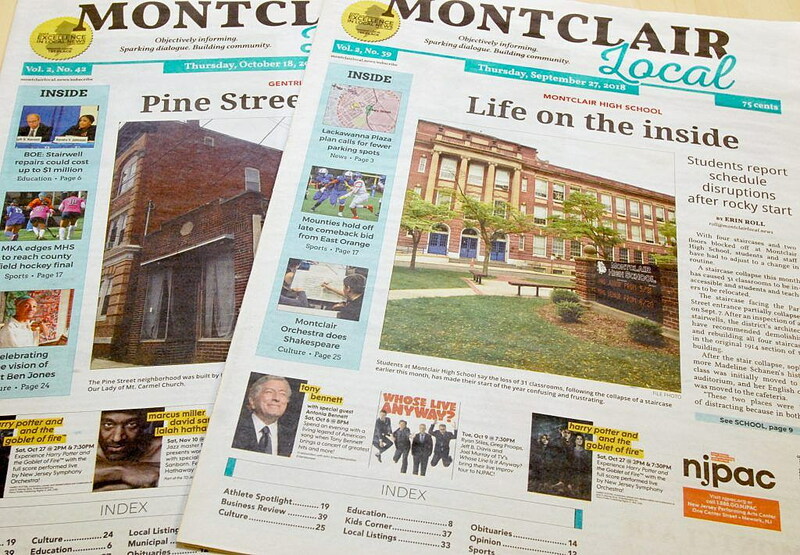 Montclair Local launched in March 2017, and became a member of NJPA — an organization comprising nearly 200 newspapers and dozens of digital news websites throughout the state — in 2018. —Second place, Special Issue (for our “Montclair 150” special from June 28). —Second place, Business Writing (for her story about Nicki Radzely, the inventor of the Pop pacifier). —First place, News Writing (for her series of articles on the flash flooding that hit businesses in August). —Third place, Responsible Journalism/Enterprise (for coverage of Montclair students’ response to the mass shooting at a high school in Parkland, Fla., which included activism and walkouts). —Third place, Business & Economic Writing (for a story on a North Korean mix-up that shut down the Pop pacifier business for a month). —First place, Best Multimedia Element for both entries (“Lou Reed at Tierney’s” and “Montclair Orchestra’s Rockin’ Stravinsky”). —Second place, Best Web Element (for coverage of the Montclair High School car wash).